It was at the 2006 Grand Jours de Bourgogne that I was looking for excellent Burgundies at equally excellent value. Marsannay came to mind as a good candidate, but aside from a couple of well-known producers, I was disappointed in the quality of many. That is until I came upon Philippe Collotte. 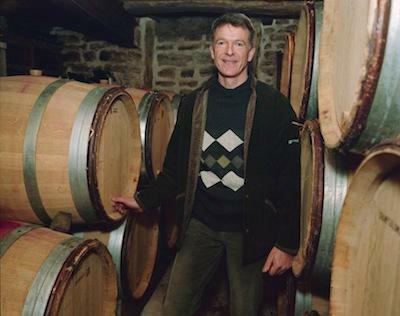 A tall, quiet man, but with a lot of passion to make superb wines just waiting to be unleashed. Producing lower yields, more selection before and at harvest, de-stemmed fruit, and for us he bottles everything unfiltered. His Bourgogne parcel was planted in 1947 and there are 5 parcels of 50+ year old vines in his super-value Marsannay VV. Indeed all of the Marsannay single vineyard cuvees are old vines. Tillage is all done by plowing, no chemical weed-killers ever used, and the philosophy is that a lot of work done in the vines promotes healthy grapes for excellent wine. Collotte's yields are well below the appellation's allowances. All fermentations are done with indigenous yeasts only. Recently, Philippe's daughter, Isabelle has completed viticulture school and is joining her father in the domaine. Her specialty is making the family's superb Marsannay blancs. The wines produced by the Collottes are some of the best kept secrets in our portfolio.